When thinking about France, many associate the country with its fantastic wine-producing beautiful vineyards. A very large number of grape varieties are cultivated in France, including both internationally well-known and the more unusual. 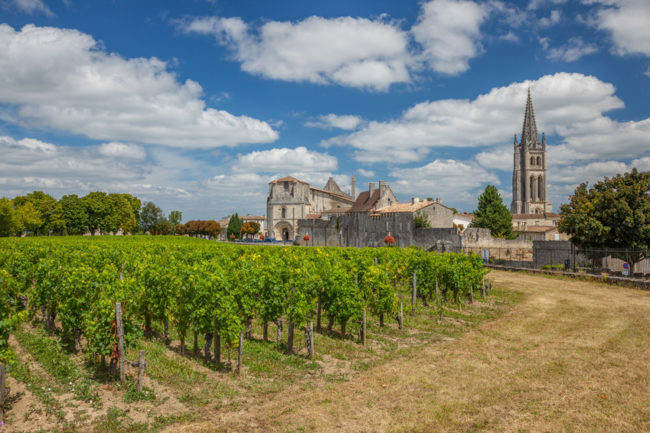 Purchasing a vineyard in France can offer a great lifestyle and a viable business. For those relocating to France and looking for a business opportunity vineyards can be a very appealing option, after all they are a wine lover’s paradise. The reality of running a vineyard is that it is both rewarding and hard work. 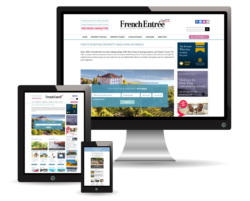 At FrenchEntrée we have a whole site dedicated to vineyards for sale in France. Alsace is in the far north-eastern corner of France and is renowned for producing high quality white wines. Bordeaux is one of the most famous names in the wine trade and has been for centuries. Bordeaux produces more classed wine than any other region in France. Burgundy produces some of the finest Chardonnay and Pinot Noir wines in the world. At the southern end of the region is the area of Beaujolais which is known for its Gamay-based wines. Champagne is where that sparkling wine which only when produced in line with very specific and strict practices can be called ‘Champagne’. Languedoc-Roussillon is where a great number of varietal wines are produced, as well as the increasingly popular rosé. 2. 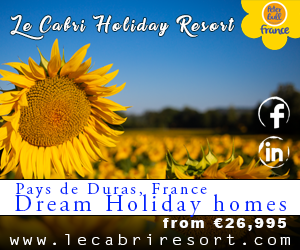 Prices start at around €500,000 to about €1.3 million. The most expensive vineyards tend to be in Provence. An estate with a château will usually be more expensive. 3. The ideal size vineyard is about 20 hectares – this will produce around 130,000 bottles a year. 4. Attached properties are usually French farmhouses. Outbuildings can be converted for holiday accommodation. Many choose to buy a vineyard with the potential for B&B or gîte rental because vineyards are a great attraction to visitors – who will often purchase a healthy dose of wine while they are it. 5. There are two levels of land – Vin de Table and AOC (Appelation d’Origine Controlee). With Vin de Table land you can declare Vin de Table or Vin de Pays wine, depending on the grape varieties planted. 6. If you plan to make this a viable business, you will need to give your winery a good marketing exposure. You will have to work hard to sell your wine in a competitive market. 7. It will be hard physical labour! You will have to learn how to protect the vines from the weather, insect and plant diseases, competitors, as well as abide by the local authorities; you or your employees will have to tend the vines everyday. 8. It can be an expensive business to run – especially the cost of employing people in France. It can take up to three years before you begin to reap a profit. 9. It is probably worth paying a premium for an estate with good vines and an established reputation and distributor. 10. Vineyards hold their value well – even if the winemaking isn’t a success the land and property will increase. Here at FrenchEntrée we have a fabulous choice of vineyards for sale in France, whether you fancy producing sparkling wine in Champagne Ardenne, rich red in Burgundy, fragrant white in Alsace, or even blushing rose in Provence be sure to check out our vineyards for sale in France website.